Looking for healthy homemade hummus recipe? Then here goes the very easy to make recipe and it tastes out of world than anything you can buy at the stores. This delicious dip recipe is a combination of chickpeas, sesame, garlic, lemon juice, cumin and salt. Also you can alter sesame with tahini paste, if you're having it (nothing but sesame paste). This addictive creamy smooth chickpea paste combines excellent with any snack. My favorite combo is with chicken tikka and grilled chicken. 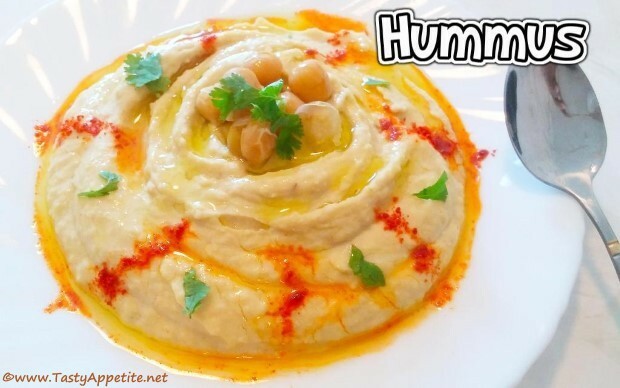 Do check out this easy video recipe and make your own hummus at home! Wash & soak channa in water overnight or minimum 6 hours. Drain water and add to pressure cooker. Add 1 cup of water and pressure cook until soft & tender. Add sesame seeds, garlic, salt, cumin pwd and olive oil. Add lemon juice and blend to smooth paste. You can add 1 to 2 tbsp of water to achieve the smooth consistency. Garnish with red chilli pwd and coriander leaves. Healthy delicious homemade hummus is ready. It makes an excellent dip for tandoori dishes, french fries and any snack of your choice.